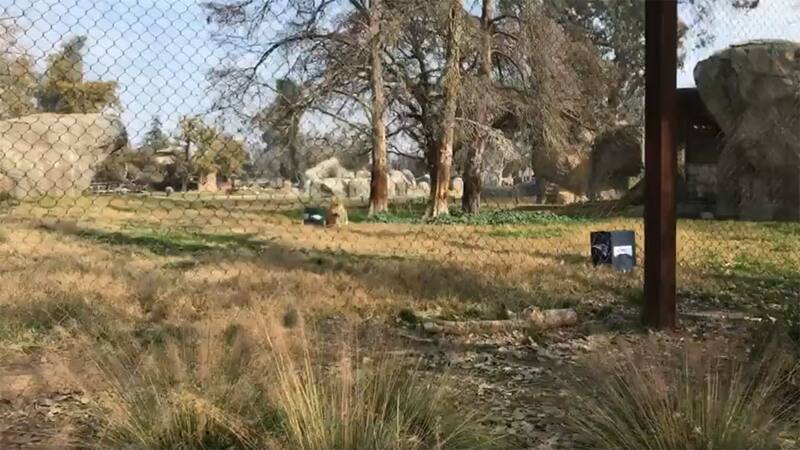 FRESNO, Calif. (KFSN) -- A lion cub at the Fresno Chaffee Zoo predicted the winner of Sunday's Big Game. In the lion's enclosure, two boxes filled with meat and decorated for each team were put out for the cub. Kijani the African lion cub was drawn to Eagles. Dozens of people came out to watch and see who he will choose. "This is about the Super Bowl for some people but it's about enrichment for us. It's about providing change and choice and a fun thing for them to do every while imitating their naturalistic behaviors. The fact that so many people came out not only to root for football but to root for our lions, to support the zoo and what we do here is so important for the animals," said Carnivore Keeper Amanda Ramsay. This has been a long tradition at the zoo. Kijani comes from a family of winners. In 2017 Kijani's father picked the New England Patriots and in 2016 his half-sister chose the Denver Broncos. Who do you think will win Sunday?